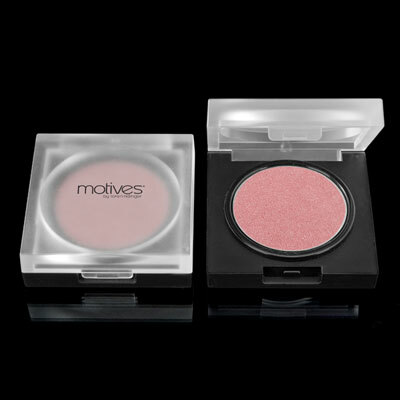 Today is the official launch of Miss Motives Makeup of The Week! I am SO excited about this new feature, I can barely stand it! Shelby and I have been working hard on some awesome looks to share with you! Each week, we will show you a new look and how to achieve that look. Not only will it be makeup, but it will be a whole outfit as well. In honor of all the amazing blizzards and chilly weather we have been having lately, this week we are starting off with a Winter Wonderland theme. 1: Prime lid along with light neutral tab color on your entire eyelid. Served as a base color. There is no picture for step 1. 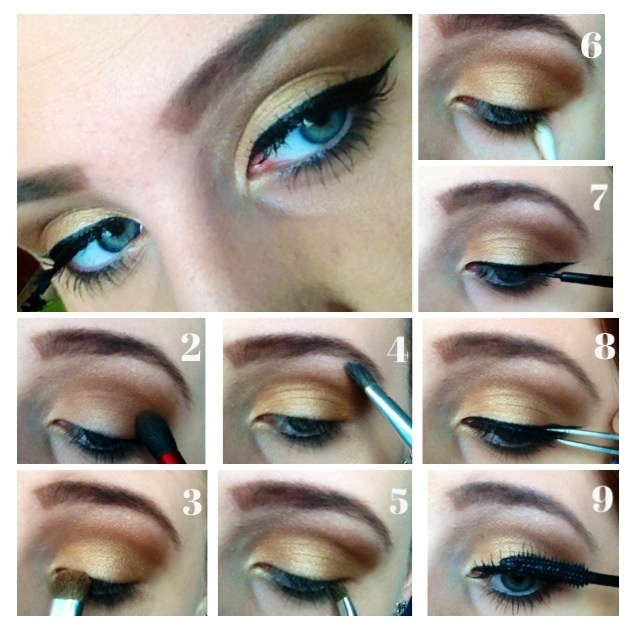 2: Lay a darker, warm brown into your crease, blending out and up as much as you want. 4: Use a very light beige color as a highlight on your brow bone and also by your tear duct, if desired. 8: Apply lashes, if desired. 9: Blend your natural lashes into the false ones using a mascara with a finer brush. Make sure you don’t apply much mascara to the false lashes as they will get clumpy. Through all this cold, icky weather, it’s obviously hard to get some sun. 1. 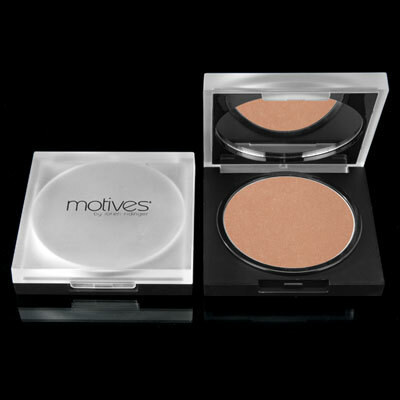 Apply a gorgeous bronzer, like Miami Glow, to your cheeks, hairline, and jawline. 2. Add a little color to the apples of your cheeks. A great natural blush is Flushed. Keeping things neutral with a pop of color is not only simple and quick, but classy and gorgeous. I love La La’s Mineral Lip Shine in Big Apple. For this look, I’d personally stick with a neutral color like Vintage, so all attention is drawn to my eyes. I’m always running late so I need a “do” that’s quick, easy, but still super cute. 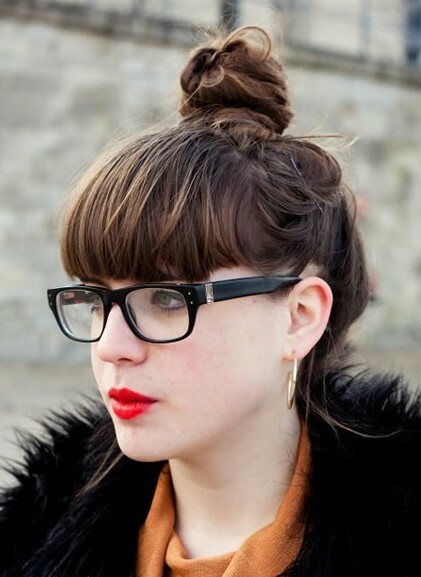 My go to hair-do is a simple messy bun on top of my head. It’s up, out of my face, and I’m still able to wear a cute headband to keep me warm! Since it’s cold, it is necessary to keep warm. An over-sized sweater, fun scarf, and cute boots will be a perfect outfit. Throw on a cute headband and some gloves (and of course a jacket), and you’re good to go! Even in this weather, there’s still plenty of ways to look and feel good without having to put too much effort into it. Stay tuned for next weeks MOTW!